The Luxurious Alluring Volume .05mm Lashes will create a gentle, dense and more natural look.The synthetic lashes are silky smooth and are super lightweight for stacking and adding volume to your clients lashes. They make Volume Lashing so much easier!! 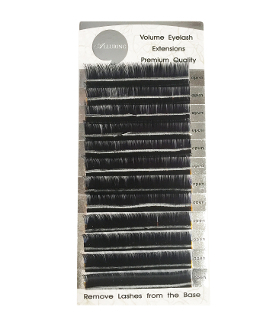 Not only are they easier to work with, they also have better retention and are better for the natural lash than the regular volume fans.